Elmore Stoutt High School students traversing Road Town after school (not the indisciplined students mentioned in the article). The Ministry of Education is pushing to end the recently-implemented shift system at Elmore Stoutt High School (ESHS) because of increasing incidents of students behaving unruly during afterschool hours. “The children are wreaking havoc in town. I am very concerned about it… These fights are happening all over the place and so on. It’s not very good,” said Education Minister, Myron Walwyn during a community meeting in the First Electoral District yesterday. The incidents have also caused concern among residents and businesses, especially Roadtown Wholesale which operates RiteWay supermarket in Pasea Estate. The store is located next to the de facto ESHS campus. Student indiscipline has escalated to the point where operators of Roadtown Wholesale have requested a meeting with the education minister. The ministry, therefore, is making urgent plans to repair usable sections of the original ESHS campus so regular school hours can be reimplemented. 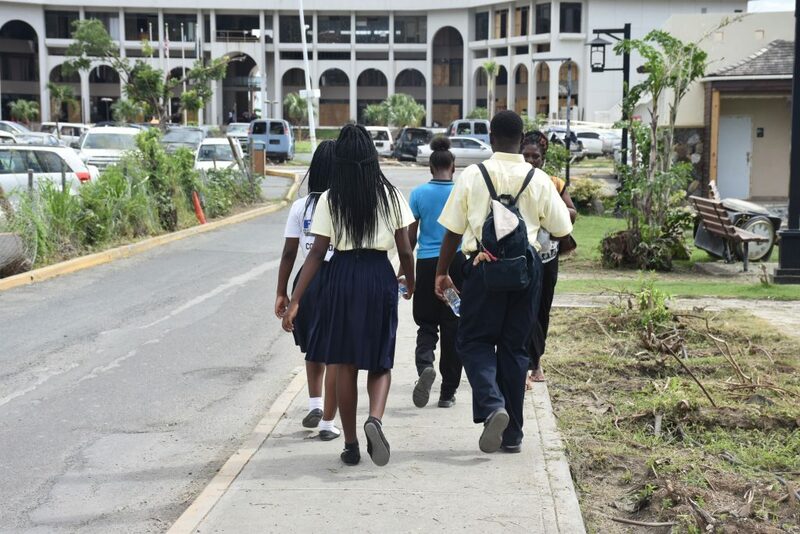 Short-term plans are for senior students to return to the Road Town campus, while junior students remain at the old CTL building in Pasea Estate. ESHS has been operating out of the old CTL building since the hurricanes. But because of limited space, one-half of the student population attends school in the morning while the other half attends school in the afternoon. An afterschool programme was created for students on the early shift but Walwyn said space is again proving to be an issue. “We should have about 250 or 275 students who come to the afterschool programme but we can’t bring it any bigger because we don’t have the space for it… We were really relying on the use of the multi-purpose complex but it’s still a shelter,” said Walwyn, adding that students not involved in athletics are housed at Department of Youth Affairs and Sports after school. “We really have to make a move right now to try to get school [back] to be all day,” he added. While the ministry works to reimplement regular school hours, parents are being told to control their kids.